S1904, though apparently please could somebody with a better memory post the details sufficiently associated with Hardy Rodenstock to be a possible fake. Red-pink, 20% opaque. Nose wrong. Palate showing strawberries, then not right. 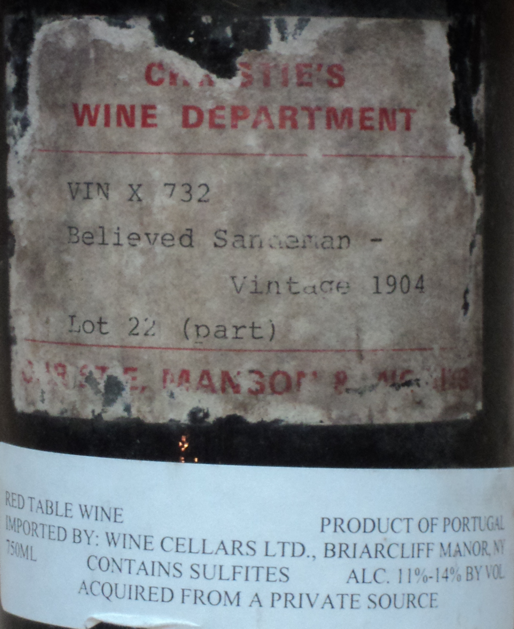 Widely thought corked. 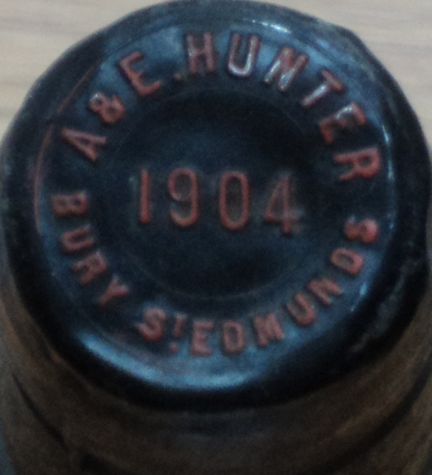 [url=http://www.theportforum.com/viewtopic.php?p=42906#p42906]Here[/url] AHB wrote: The cork appeared to me to be of the right age to be consistent with the suggested vintage and was clearly branded to read "VINTAGE 1904". 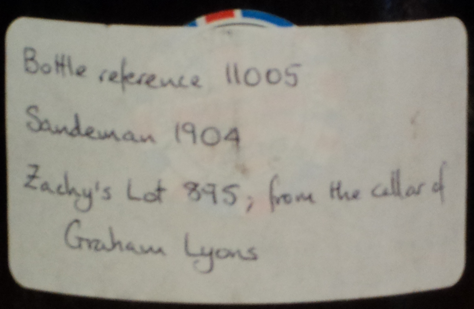 The shipper was branded on the cork, but was not legible.